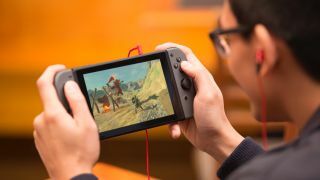 It would appear the Nintendo Switch is a hit, and in fact Nintendo is so confident in the chances of its ongoing success that it's planning to ramp up production of the gaming device next year - perhaps putting out as many as 30 million Switches during 2018. That's according to anonymous sources speaking to The Wall Street Journal, who say that 25-30 million Nintendo Switch devices are planned for the next financial year - which starts in April 2018 - and that figure could go even higher depending on consumer demand. Last month the rumor was that Nintendo wanted to get 10 million Switch units shipped by March 2018, but that figure has since been upped to 14 million as the holiday season starts. We know that in its first six months, the Switch sold half the number of consoles than the Wii U did in its entire five-year lifetime. All of which means that if you are planning to pick up a Nintendo Switch for yourself or someone else this Christmas, you should be able to get your hands on one - though better get your orders in early anyway, just to be on the safe side. Of course a big part of the Switch's success is to do with the games available for it. Breath of the Wild kicked everything off in style, and it's since been joined by top-tier titles like Super Mario Odyssey and L.A. Noire. What's more, games studios and indie developers seem keen to get involved as well. With regular apps like Hulu now appearing on the Switch too, the future looks bright for Nintendo's new console-handheld hybrid. The company may well have some interesting holiday sales figures to report at the start of next year.